BitcoinNinjas.org offers professional Pre-Tuned Settings Packs (Configuration Files) for any cryptocurrency trading pair available on any exchange supported by TradingView.com. 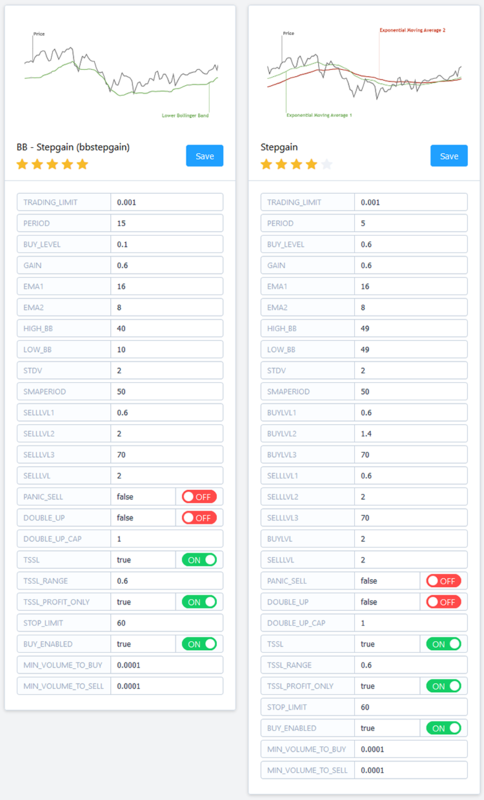 Pre-Tuned Settings Packs can be configured for our Ninja Signals trading script or the Gunbot automated trading software platform. Ninja Signals settings packs can be used with any trading modality that is compatible with TradingView alerts, including manual trading and automated trading software platforms such as Gunbot, Autoview, ProfitTrailer, and more. 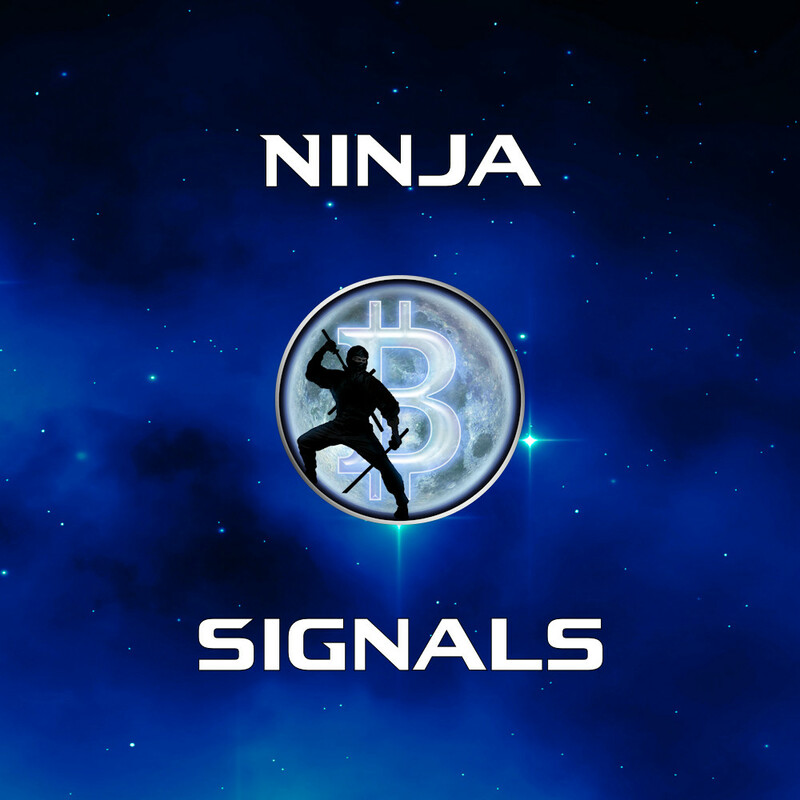 Ninja Signals settings packs can be calibrated for any cryptocurrency trading pair on TradingView.com. Simply indicate the Configuration Type (Ninja Signals, Gunbot, or No Preference), Exchange (e.g. Binance, Bittrex, etc. ), and Trading Pairs (e.g. BTCUSDT, EOSBTC, etc.) you want your settings packs configured for, and we will create custom pre-tuned settings packs to meet your chosen preferences. 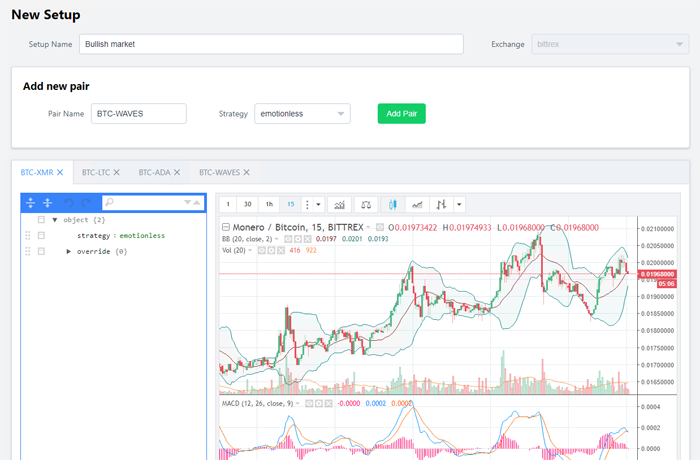 Please make sure to include a list of the specific trading pairs you want included in your settings packs during checkout (Example: BTCUSDT, EOSBTC, STEEMETH, etc.). 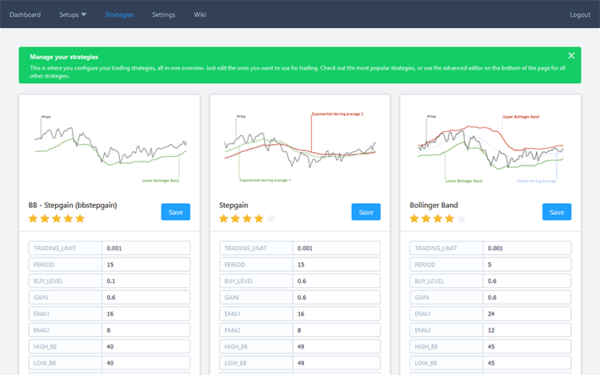 Our pre-tuned settings packs have been thoroughly tested over several months of trading data, resulting in highly profitable trading configurations. 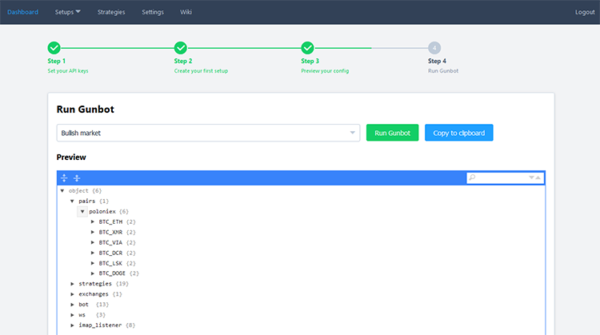 After your custom pre-tuned settings packs are complete, you will receive a confirmation email with all of your settings packs organized into one simple compressed (.zip) file. 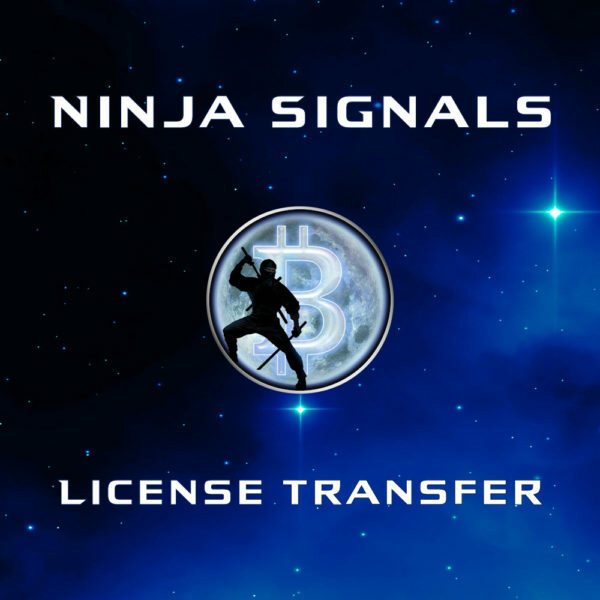 BitcoinNinjas.org Pre-Tuned Settings Packs are typically delivered within 2-4 weeks after your order is placed, depending on the total number of settings packs you request and our current number of pending orders. Please note that some settings packs require additional calibration time before completion depending on the specific trading pairs, configuration type, and exchanges you request.